Les membres du gouvernement ont pris note des retombées de la visite du Président de la Mozambique à Maurice, des activités en hommage à Kaya entre autres. (g)	Provision of Professional Services such as Financial, Banking, Insurance,egal and Accounting by Mauritian Operators in Mozambique. 2. Cabinet has taken note of the arrangements being made in the context of the National Day Celebrations 2019 and HE Mr Andry Rajoelina, President of the Republic of Madagascar, would be the Chief Guest. 3. Cabinet has taken note of the arrangements being made for the holding of the International Gita Mahotsav in Mauritius from 13 to 16 February 2019. (iii)	the Atelier Mo’zar along the main allée of the Central Market. 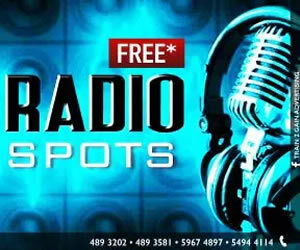 (c)	a musical performance at the Port Louis Waterfront Esplanade, with the participation of various artistic groups. 5. Cabinet has agreed to the holding of the Port Management Association of Eastern and Southern Africa (PMAESA) Annual Conference on ‘Integration of Logistics and Maritime Connectivity in Africa’ and the Africa Ports Award Ceremony in Mauritius in June 2019. The objective of the Conference is to highlight the vital role of ports in shaping a development strategy in the African region, exploiting the comparative advantages and improving the competitiveness of economic actors. Some 300 delegates are expected to discuss topical issues and challenges on global transportation and logistics. The Africa Ports Award is a platform for celebrating excellence and merit of the actors in the port world. The ceremony would bring together the Chief Executives of the African ports grouped within the Pan-African Association for Port Cooperation. (b)	advise on policies and strategies to be developed and implemented in pursuit of a sustainable gas market for the benefit of all Member States. 7. 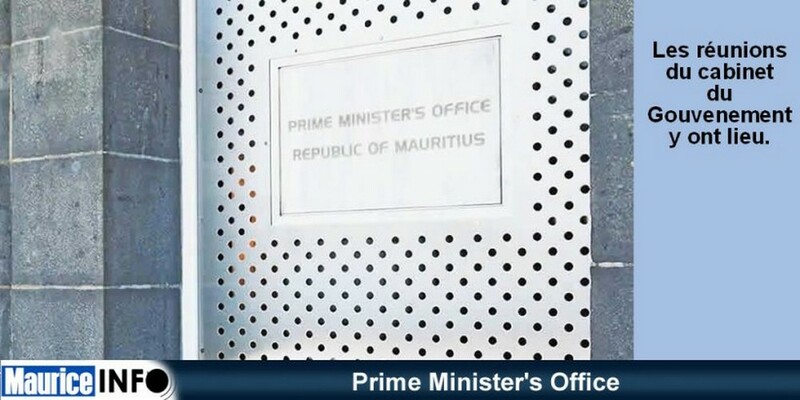 Cabinet has taken note that the Ministry of Health and Quality of Life would conduct a pilot study on “Development and Evaluation of a Technology-Assisted Diabetes Prevention Programme in Mauritius” to evaluate the impact of text messaging (SMS messaging) for the prevention of diabetes in the Mauritian population who are at high risk of developing diabetes. The study would be undertaken in collaboration with Mauritius Telecom and with the assistance of Prof A. Ramachandran, Chairman of Dr A. Ramachandran’s Diabetes Hospitals and President of India Diabetes Research Foundation, Chennai, India. The objective of the study is to develop a cost effective, practical intervention to help prevent Mauritians with pre-diabetes from subsequently developing Type2 diabetes. The study would target some 400 participants. 8. Cabinet has taken note of the performance of the Export-Oriented Enterprises (EOE) Sector over the period January to November 2018 as compared to the same period in 2017. The value of exports of the EOE Sector has increased by 2.0%. Increase has been recorded in the value of exports of textiles and clothing, fish and fish preparations, jewellery, pearls, precious and semi-precious stones, medical devices, and watches and clocks. Growth has been recorded in exports to Italy, Spain, the Netherlands, Germany, Belgium, the USA and South Africa. 9. Cabinet has taken note that the candidacy of the Government of Mauritius to be part of the Commonwealth Advisory Body on Sport for the 2019-2020 membership has been retained. The Commonwealth Advisory Body on Sport provides advice to the Commonwealth Secretary-General and Member governments on sport policy issues, particularly related to Sport for Development and Peace and protecting the integrity of sport. 10. Cabinet has taken note of the outcome of the recent mission of the Minister of Public Infrastructure and Land Transport to Japan. During his visit, the Minister of Public Infrastructure and Land Transport had a meeting with Mr Sato, State Minister for Foreign Affairs, with whom he discussed, among others, areas where Japanese assistance/collaboration could be beneficial to Mauritius such as climate change, ocean economy, fisheries, tourism and maritime security. He also met Mr T. Kitamura, Deputy Minister, Ministry of Land Transport and Tourism, Mr Adachi, Parliamentary Vice-Minister of Land, Infrastructure, Transport and Tourism and Mr Ushio, Director-General, African Affairs Department, Ministry of Foreign Affairs. 11. Cabinet has taken note of the outcome of the recent mission by the Minister of Tourism to New Delhi and Mumbai. In New Delhi, the Minister attended the South Asian Travel and Trade Exhibition (SATTE), the South Asia’s flagship business-to-business (B2B) travel and tourism exhibition. SATTE showcases India’s tourism potential to the world by bringing the global tourism market to India. Participants from 50 countries and 28 State Tourism Boards were able to network and gain profitable insights. In the margins of the SATTE, the Mauritius Tourism Promotion Authority organised a Mauritian event in line with the theme: World’s most romantic destination. 12. Cabinet has taken note that the Minister of Health and Quality of Life would make the Dental Council (Registration of Dental Surgeons and Dental Specialists) (Amendment) Regulations under the Dental Council Act with a view to amending the application form for registration as a dental surgeon and dental specialist The application form for registration would be amended for the applicant to declare that there is no legal impediment or criminal case before any authorised body or Court and nor any pending administrative or criminal case, against him. 13. Cabinet has taken note of the constitution of the Board of the Special Education Needs Authority with Mrs Savitree Oogarah as Chairperson. 14. Cabinet has taken note that a swimming pool complex with associated amenities would be constructed at Closel, Phoenix. The project would be funded by the Emirates Airline. The Vacoas/Phoenix Swimming Pool Foundation has been setup to manage the construction and maintenance of the swimming pool complex. The Council of the Foundation would be chaired by the Permanent Secretary of the Ministry of Youth and Sports. 15. Cabinet has taken note of the composition of the Medical Council of Mauritius for period 2019 to 2021. 16. Cabinet has taken note of the reconstitution of the Board of the Early Childhood Care and Education Authority with Mrs Fawzia Toorawa as Chairperson.